You DON’T have to ask to use it. If you wish, you can show me what you did with it. DO NOT TRACE OR COPY. 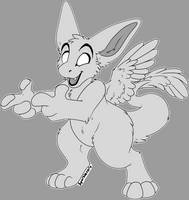 You can alter the lineart to have other expressions/tails/hair/ears/wings/nose or finger number. YOU MAY NOT SELL THIS LINEART/TAKE COMMISSIONS TO COLOR IT. Fullview/download & SAVE AS PNG. Create a layer under the lineart. Select zones wit wand tool on the lineart layer. can i modify the base for another pose? I finally got the chance to watch ROTG late March,so I made one inspired by Jack Frost. 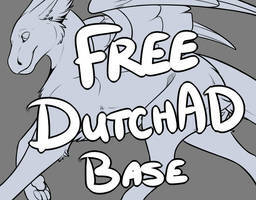 Can I use base for adopts? aaa! this base is super cute!